One of the best things a lens can be is portable. One of the best things a lens can be is portable. Weight and bulk can slow you down in a lot of ways, and while you can learn to get around those limitations (and should), it's always nice when you can say a quality lens weighs less than 3 ounces and is less than an inch long. Without further ado, we present the Sony SEL20F28 pancake-style lens for Sony E-mount mirrorless interchangeable-lens cameras. 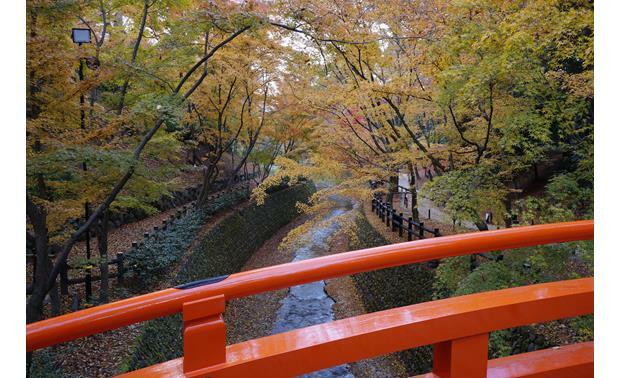 You're no doubt already aware your Sony E-mount camera is a great example of highly compact digital imaging technology. 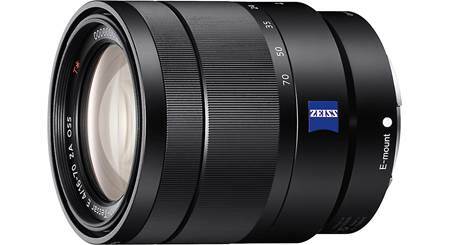 With this lens mounted on the front, it becomes small enough to slip into a coat pocket, while still featuring a very useful 30mm equivalent focal-length and remarkable light-gathering ability thanks to its f/2.8 aperture. If you're willing to walk around a little bit to achieve your ideal framing, this lens will reward you with tack-sharp, light-suffused images that resonate down the years. The SEL20F28's candid snapshots, landscapes, and interior shots will all exude life, while its portability will keep you involved in the action around you. This is a great compact lens. It's great for street photography and a good lens to have when you want to keep your camera compact. It's pretty sharp, even wide open at f2.8 but you can see a little softness towards the edges of the frame. 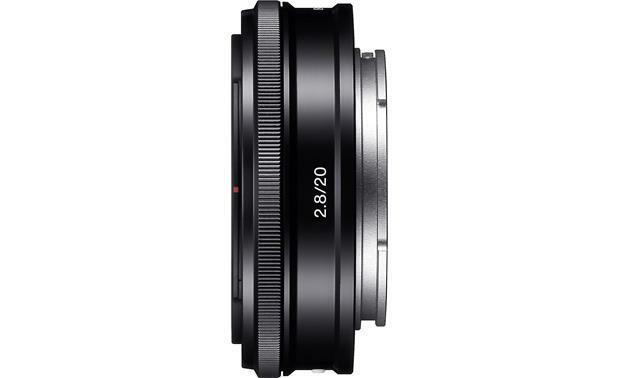 Optics: The Sony SEL20F28 (E 20mm F2.8) compact wide-angle lens is compatible with the Sony α NEX-series interchangeable lens cameras and camcorders. The lens has a 35mm equivalent focal length of 30mm, and is recommended for a wide variety of photos, from wide, expansive landscapes to interiors to casual snapshots. 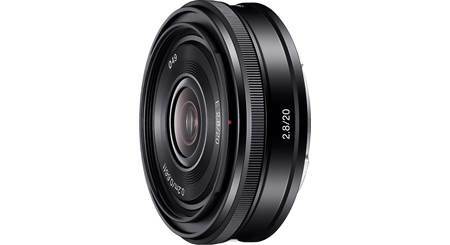 Circular Aperture: The lens features a 7-blade circular aperture that results in a pleasing defocused circular effect on the background of your image when the aperture is set to wide open. The same type of stepping motor used for the focus drive is also used for the aperture activation. 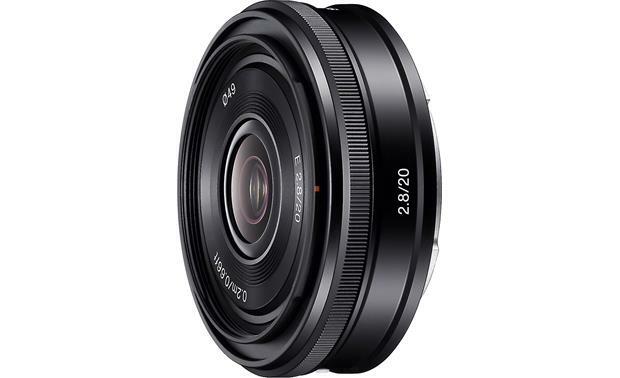 Searches related to the Sony SEL20F28 20mm f/2.8 Wide-angle prime lens for APS-C sensor Sony E-mount cameras.